Neill Blomkamp is a director who burst into the movie world with his amazingly personal apartheid parable, 2009’s District 9. But he was cutting his craft well before that with his work as a CGI animator and through his live action short films. It is clear to see that these short films were the inspiration for his full length movies and would have been excellent fodder for the movie execs looking for new projects. With a new film in the Alien franchise his next adventure, I doubt we will see any of his visionary shorts any time soon. But heres hoping. All five of Neill Blomkamp’s short movies are available below, with a short appraisal of each. It is great to see the steps that have been taken in bringing some of these shorts to the big screen. Chappie is obviously part Tetra Vaal, part Tempbot, part Yellow. 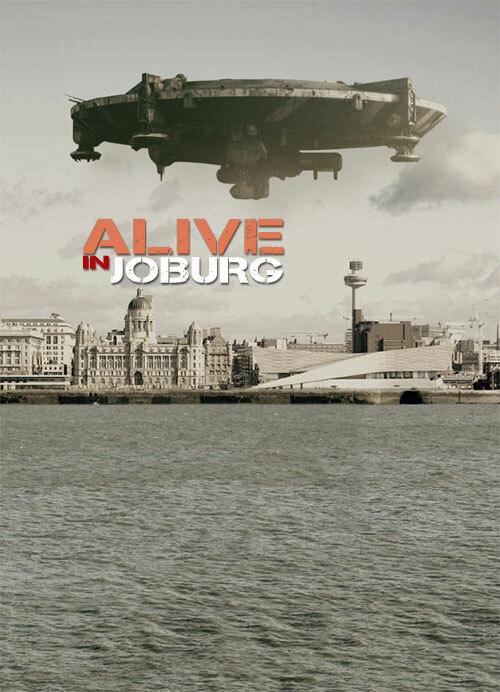 Alive in Joburg IS District 9. At about 35 minutes in total, these films should be watched to fully understand the greatness of Neil Blomkamp’s vision. It is plain to see that Tetra Vaal was the inspiration for Blomkamp’s 2015 film Chappie. A very short film at just 80 seconds, we see a corporate promotional video for the Tetra Vaal Scout police droid. With a totally believable voice over and excellent motion capture and VFX, Tetra Vaal was an early indicator that he was destined for big things. My only issue with the short is the inclusion of a stylised, slow-motion scene of a bullet ricochet. Unfortunately that takes away from the gritty style of the rest of the film, breaking up it’s flow. Following on from Tetra Vaal, Blomkamp this time takes a more comic approach and moves the droid from the police and into an office setting. With almost 15 minutes to play with it is a fully rounded script that is awkward, touching and funny, Tempbot is my favourite of Blomkamp’s short films and one I would love to see developed into a series. The film that would be turned into Blomkamp’s biggest critical success, District 9. Using his trademark documentary style, some of the films ideas are fully formed here, however the aliens that will become the iconic ‘Prawns’ in the big screen version are a little less impressive. When asked by Adidas to produce a film for their ‘Adicolor’ campaign, Blomkamp was given the colour Yellow. His film treads familiar lines of robots replacing humans and was done in his usual fake-documentary. But it has an uncomfortable polish to it that loses much of his trademark style and believability. Blomkamp was initially expected to make his directorial debut with the Halo movie, but when this fell through he ended up creating Landfall, essentially three live action adverts for the Halo 3 video game spliced together. Again it uses a mock-documentary style with handheld cameras, night vision and fast moving scenes. The scene setting first half is a little pedestrian and predictable, but the second half is an excellant battle scene with many of the game series’ trademarks. Master Chief, armoured buggy, Spartan lasers and Brutes all make an appearance. An authentic portrayal of the game world and with all the issues the Halo movie has had since, it is probably a shame that we won’t see a feature length Blomkamp Halo film.